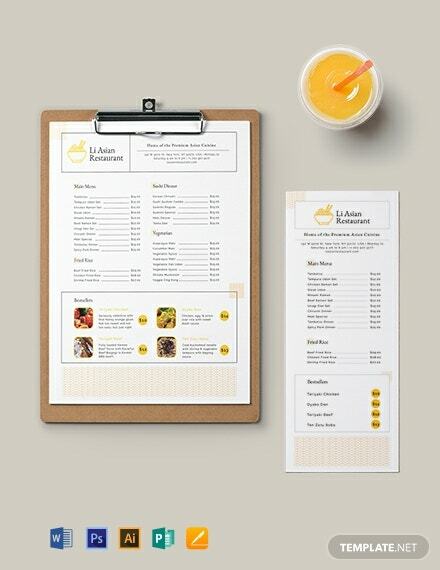 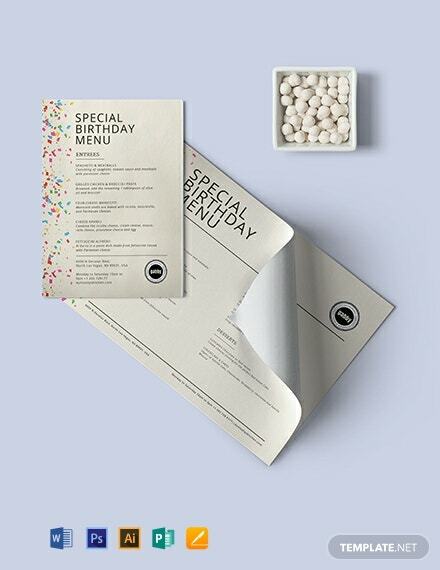 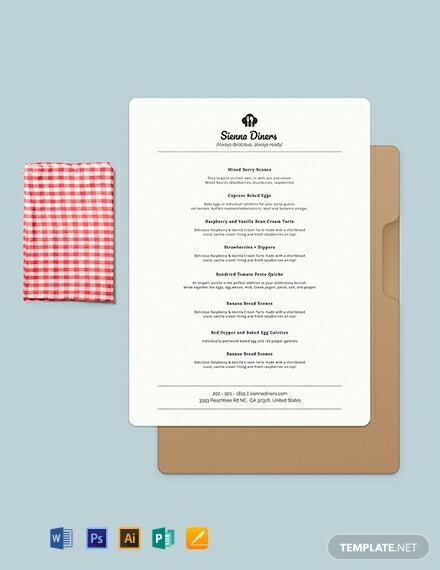 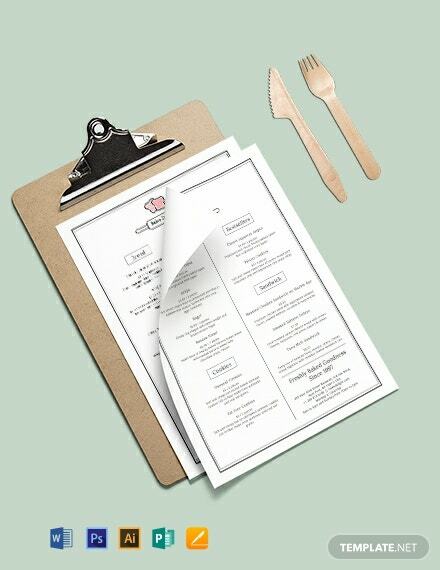 A Simple Asian Restaurant Menu card template for your restaurant business venture! 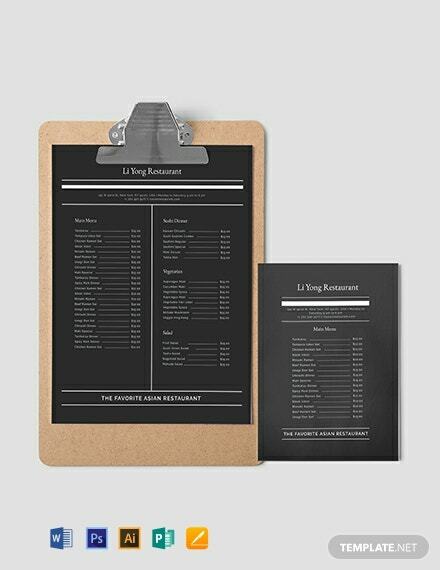 This is a template that guarantees to give nothing but the best type of Asian restaurant menu content and design specifically +More perfect for your Restaurant Menu. 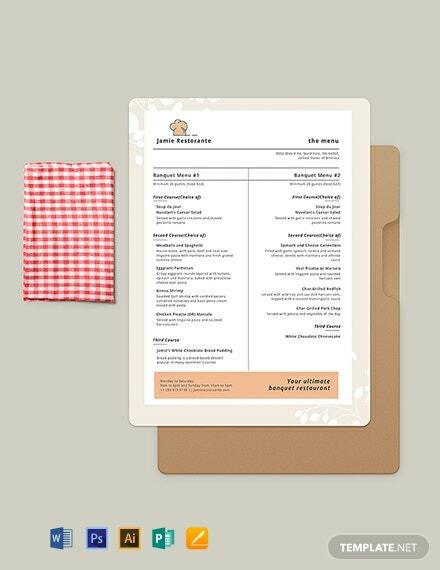 An easy to use menu template that you can efficiently customize and personalize for any of your specific content use. 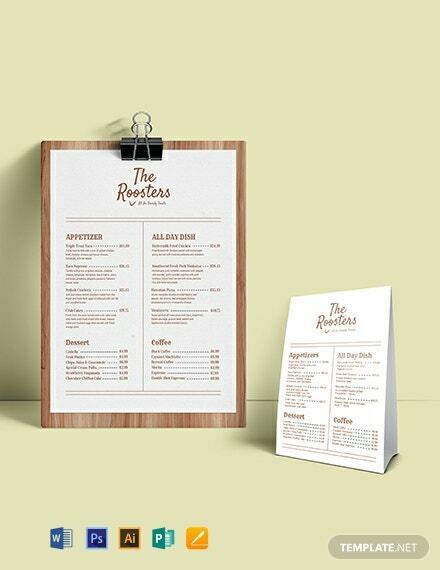 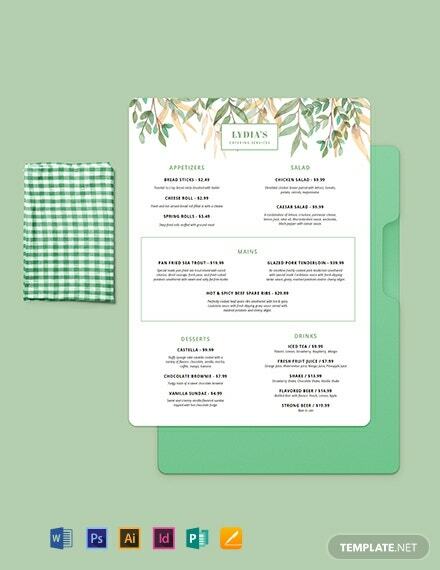 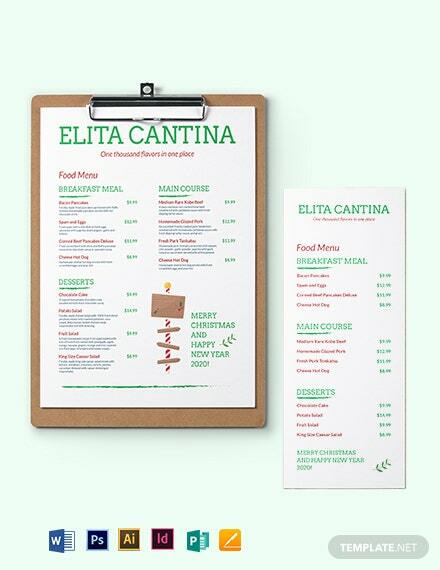 Get this menu template in high-quality and high standard format that you want and need. 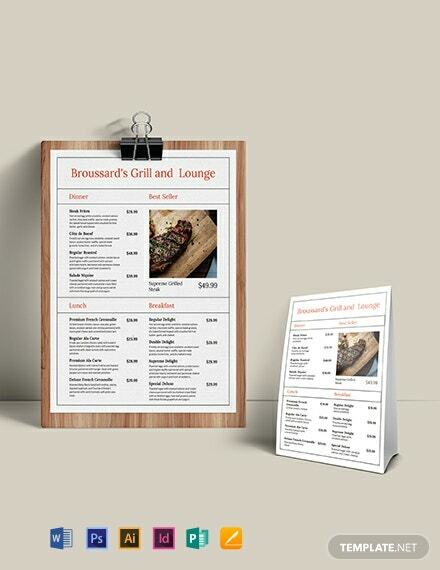 The template design will not disappoint you and is a great value for your money, time and energy. 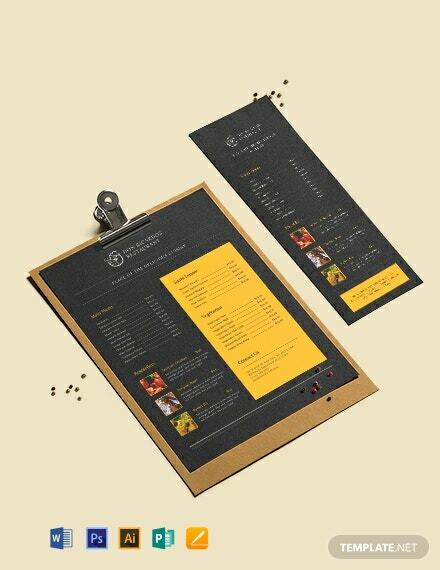 Get this template by downloading it now!